Whether it’s a hunting expedition or an outdoor adventure, the Vanguard 10×42 Binocular with ED Glass is the go-to product. Its eye optic units are made in such a way that any user will find wielding these binoculars comfortably. Packed with all the essential optics features and binocular requirements, the Vanguard’s design is one of the top most durable ones in the market. How is it so highly recommended for most outdoor projects? A magnification of 10×42 pops to mind, along with an excellent long-distance view, making the Vanguard indispensable during expeditions. Most units that come with high magnification end up providing a small field of view, making focusing tricky and loss of sight of the animal when you move the binoculars even slightly. This is NOT the case with the Vanguard. The BaK-4 phase coated prisms, ED glasses, and multi-coated lenses all work a singular kind of viewing magic. The position locking diopter is also factored in the design. The main function of this is to lock the knob once you have searched and found your best focusing point. This is superior to those binoculars that lack a diopter and any slight accidental movement of your hand may take you back to point zero. You will need to start the whole focusing exercise again. To make work even easier and more comfortable, the unit has been designed with soft rubber armor, a large focus adjustment wheel together with the open bridge design. The soft rubber armor makes it comfortable to handle the unit and also resistant to short distance drops. On the other hand, the large adjustment wheel makes it easier to focus the object. It can be used in any environment. If you come from places that experiences winter most of the time or even the places experiencing very high temperatures, buying a binoculars that does not favor such environments is not very prudent. Water and fog are some of the greatest enemies of a binocular. This unit has been designed to be 100% fog proof and 100% waterproof. A premium life warranty that comes with it gives you the confidence that you are buying a product that has been proven to last your lifetime. It has the BaK-4 prisms that boosts and enhances for clear, bright and crisp viewing. This piece is loved and is among one of the best binoculars for hunting that customers have given credits for its diverse usability. The product is the best outdoor companion for almost all the activities that require a binocular. Fishermen have credited their success in fishing to this unit while hunters have been able to down more game from the day they decided to buy this Vanguard product. On the other hand, the lovers of sports and fitness have been able to easily use it to learn and implement some forms of physical exercises even from a distance. In addition, those who just love to watch sports while outdoors have loved it. 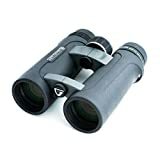 Astronomers, especially the amateur astronomers have credited their gain in more experience to the use of this product while bird viewers have equally given the binoculars thumbs up. The product has been designed with comfort in mind. For instance, it comes with a carry on casing that does not only give you ease in carrying it but also gives you the peace of mind for your product is under good protection. In addition, the product design also factors in ergonomics and the grip together with the thumb rest makes it a delight to carry and to use it. The locking diopter is especially exceptional as it helps users to maintain focus for long without the risk of losing the focus unintentionally. The long eye relief is yet something else that has made working with this binocular to be even more comfortable and full of delight. Glass users are particularly being recommended for it more than any other person. There are so many binoculars in the market today. Each has got its own pros and cons. It is always prudent for a user to go for one unit that has got the pros associated to what they want to use the product for. 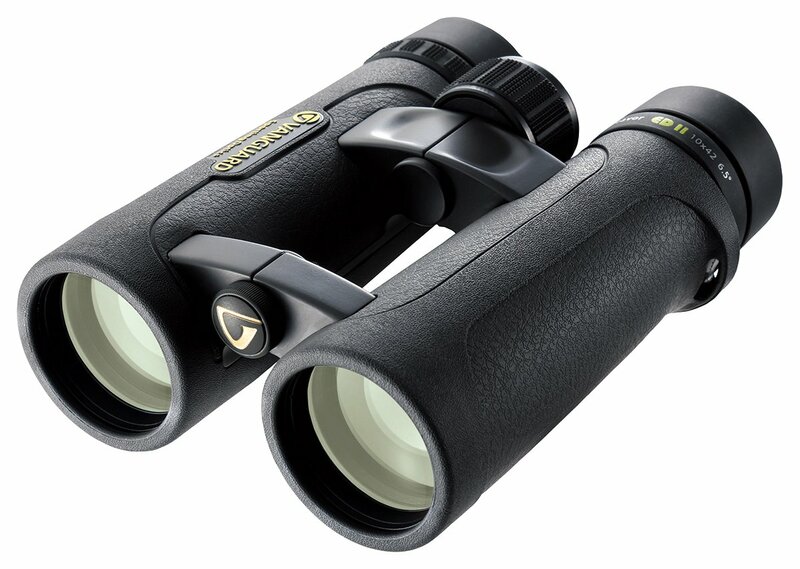 The Vanguard 10×42 Binocular with ED Glass is among the most widely or rather dynamic among the binoculars. This is because of the wide range of activities that it can be used for. It is one among those few products that regardless of your career or interests, you will absolutely love it and never regret having spent those few dollars to acquire a pair. Just get a unit for yourself and have more efficient outdoor adventures from today!